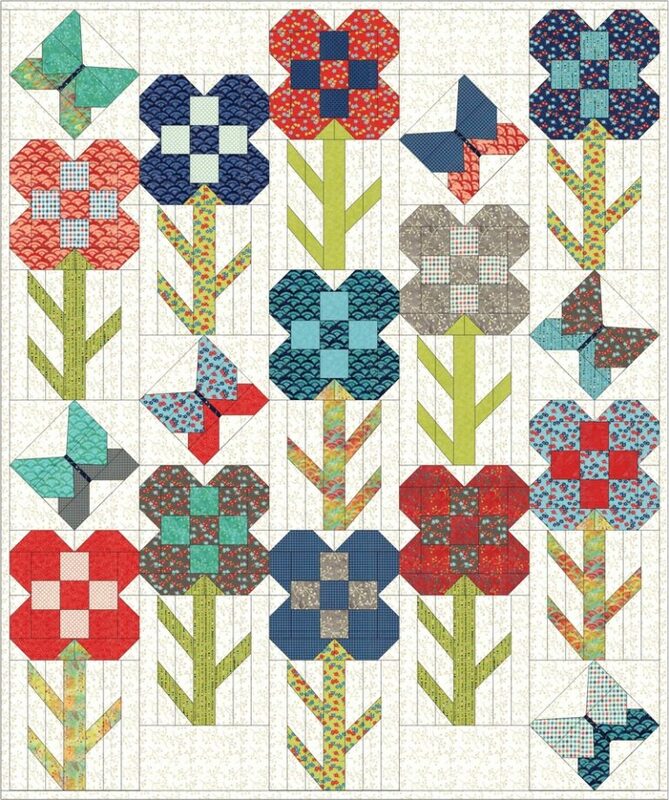 Flower Stem Time for the Dandy Drive Sew Along! 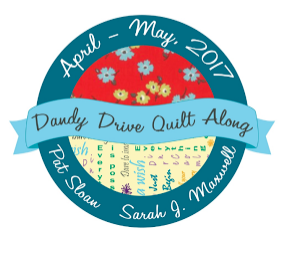 Are you ready for the next step in the Dandy Drive Sew Along! We are really moving fast with this one! The Flower Garden is blooming nicely! You can find each of the patterns for the blocks by visiting Pat Sloan's website here! Today is the stem! With many pieces I did not want to get confused! 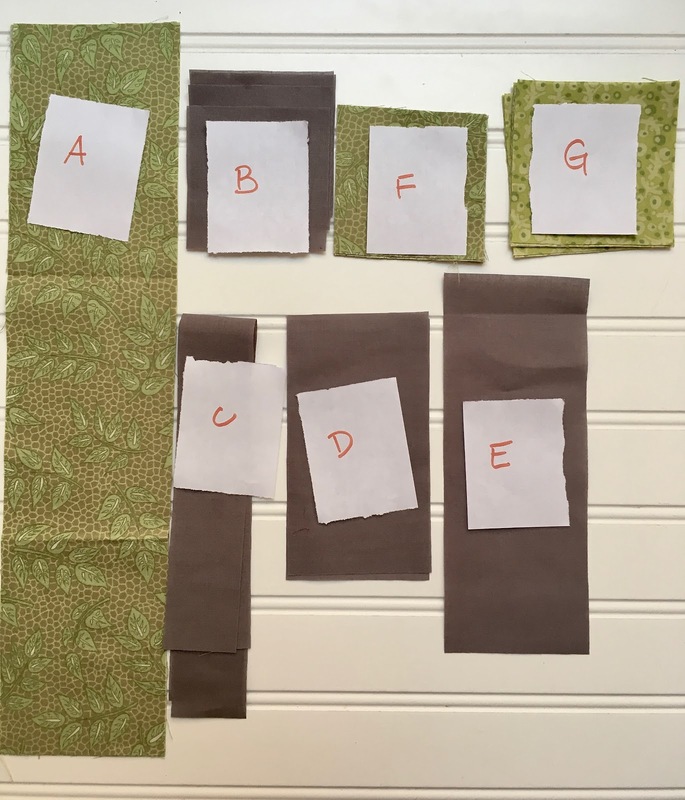 I took small pieces of paper and wrote the letters of the coordinating fabric pieces and placed them on top. A quick pin was then used but not shown. For faster half square triangles without marking, place a piece of painters tape or wash tape on the 1/4 seam line. Line up your square along the side of a patchwork foot ( #37 on a Bernina). and keep the bottom of the square lined up with the edge of the tape. 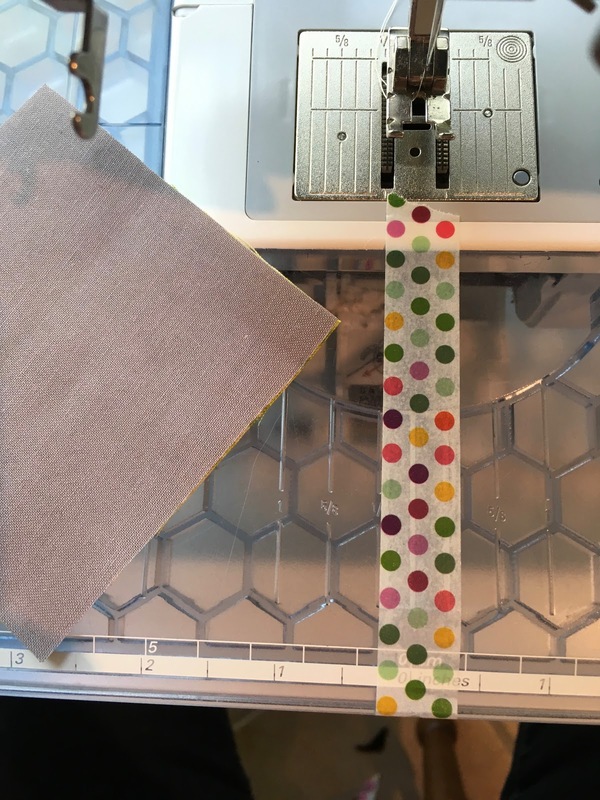 It is SO EASY and really make half square triangles fuss free! Here is one of my stems I finished! 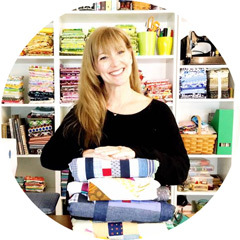 The fabrics will all be vintage looking in my blocks inspired by blocks I have found at thrift shops! 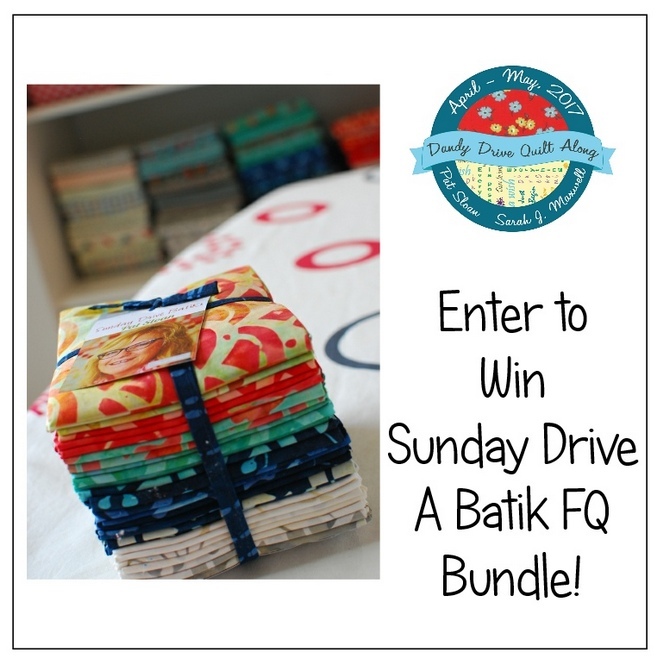 The giveaway this week is a fat quarter bundle from Pat Sloan of her Sunday Drive Batik Fat Quarter Bundle! You can Enter for your chance to win by visiting her here or Buy one now by visiting here! Awesome tip! Thank you, Kim!